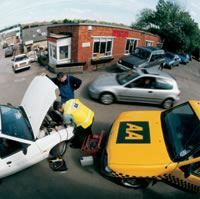 In partnership with the AA, Shropshire Chamber of Commerce can now offer its members exceptional preferential rates on a range of Roadside Assistance options. Operating a fleet of vehicles is often one of the most difficult parts of running a business. So wouldn’t it be great if there was one service that you could help handle and control all of this for you? 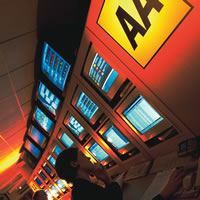 The AA has joined forces with Arval to bring you Chamber Fleet Advantage, a brand new service that helps to take the hassle out of fleet management and help you get on with running your business and satisfying your customers. Chamber Fleet Advantage can help with easier incident management, simpler budgeting, improved cash flow, better cost control, smoother administration – and best of all, freedom from hassle. This offer is unique. It has been created to afford companies benefits that are financially attractive and it offers quality in its service provision. Partnering with the AA shows the Chamber’s commitment to its members to constantly bring forth substantial benefits in an effort to reduce operating costs without compromising on quality. Employees who assign their car to their company policy only can take advantage of this scheme. They must demonstrate that their vehicles are used for company business, are involved in their company policy and have business motor insurance. Please state clearly that the vehicle in question is registered under your employer company scheme. Also available is Chamber Fleet Assist Europe. Just ask for information on this outstanding additional benefit.